Happy Monday, everyone! 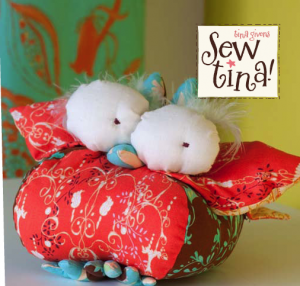 I am very excited to be hosting today's stop on the Sew Tina! blog tour. (For the full tour schedule, see here.) Sew Tina! is the new book by designer Tina Givens, known by many for her fabric collections (including her newest line, Opal Owl) and her sewing patterns. I had the pleasure of meeting Tina at Quilt Market in Minneapolis last Spring, and was pleasantly surprised to hear that she lives right here in Raleigh, NC, with me! (Well, she doesn't live with me, but you know what I mean.) Tina was very gracious in answering my questions about her newest endeavor, and I know you will enjoy the brief interview below. Tina was also very gracious in offering a giveaway prize to one lucky reader. The Tina Givens prize pack pictured below includes a copy of the book, 4 yards (!) of Tina's fabric with which to make some of the book's fabulous projects, 2 boxes of stationery, and 2 bonus sewing patterns. Sound good? Details for entering the giveaway are at the bottom of this post. Congratulations on the release of your first book! Was writing a book something you have always aspired to do? Who did you have in mind as your audience as you were writing Sew Tina? Who will this book appeal to? Your book has a primary focus on projects for children. Are you especially inspired by children? Why are these types of projects your favorite to make & design? Is there a particular project in the book that you would say is representative of the overall feel of the book? Which one? Which is your favorite? And which one(s) are geared towards beginning sewists? The Moses basket and canopy perhaps.... because it's beautiful and it's fun. A twist off the original rattan basket lined in fabric... the whole basket is made of your favorite fabric for the little bundle of life and love. The canopy because it is magical and can be made for any kid any age.... my 8 year old has one in her room! Don't just hang it over the baby on the changing table, bassinet, moses basket or crib, but make it a tea tent for kids to have a tea party within ~ on cushions of course! I have many other favorites of course! Are they representative of the book? Maybe with their simple make-anything you desire attitude... it's magical but yet doable! You are known by many as a fabric designer. How would you describe your overall design aesthetic? What is your design process like? Are your designs completely hand-painted before you take them to the computer? I begin with an idea and can be inspired by many things... but it starts eventually with one idea. I am starting a new collection and it's beginning with a childhood book I used to read and reread with passion... I just reacquired the book after years and years (I last saw the book at the age of about 9) and was amazed at the watercolor illustration and the story (including a sewing machine and a magic dress!!!). It's amazing what our mind remembers without us even knowing it.... So then I start sketching in pencil and a few specifics start to form. I then start to paint the different pieces, and some I use together and some are strong enough to stand on their own. I begin scanning into the computer system and the design process begins. I build the patterns and repeats and get to a point where I have to reduce the paint chip colors. This was the toughest part for me for a long time. Reducing the color from thousands of colors to within the print screening limitation of a maximum of 16 colors. That's it... and for other fabric types like laminate and linen it's less than that.... This is tough for me because when I paint in watercolor I build a transition in color and shade to create depth in my subjects. That means there's many different 'pinks' for instance, and then we must reduce those colors without losing the depth. Sometimes it just simply doesn't work and I have to try something else. Adding a layer of ink, outline a piece, add a color... or begin again with that particular print. The process after that is tedious and takes weeks and weeks to get back in 'strike-off' form which is like a proof of the textile. It is returned once the mill engraves the design, prints with the specified color chips which I detail, in fabric form. In some cases I am immediately pleased.... and in some cases I am horrified.... and we have to tweak color, depth, and so on. It's a long process and I do enjoy it. Can you tell us a little bit about your adorable new line, Opal Owl? It seems that the fabric line and the book will complement one another nicely. Would you agree? Oh, I never thought about that... yes, I think so actually. When I released Opal Owl at the quilt market we re-created all the pieces in the book including the Moses basket in the new collection. And everything turned out beautiful... so I am ecstatic that the timing for this flavorful, kid oriented collection is now available at the same time as the book. In fact we are working on images to display on out site to encourage the use of Opal Owl because the projects looks so great. And the fact that there's a soft book panel in Opal Owl telling a story of friendship also encourages making for little ones... big yeah! What's next for Tina Givens? Well, I am working on that new fabric collection (working title: Miss. Z. ), I am playing with a Christmas collection because I am working with Department 56 in creating 3-dimensional ornaments of characters and glass patterned balls. I have a very busy stationery collection, Cid Pear which keeps me occupied and I would love to tackle wallpaper ~ wouldn't that be fun? I am also brainstorming for a new book ~ adult clothing and accessories or maybe just accessories or perhaps another kid collection..... we shall see! Thanks John, I am happy to answer your lovely questions. And thanks again for having me on your blog. I hope the book makes people happy and that they explore and encourage their own creativity. Many thanks to Tina and to Lark Books for hosting such a great book tour. If you would like to enter to win the prize pack, simply leave a comment on this post. Are you a fan of Tina's work? Did you learn something new about Tina today? Of course, you can always just say "hi"! I'll leave the giveaway open until this Friday, 10/22, after which a winner will be chosen at random from the comments. And please be sure to check out the next stop on the tour, over at Hodge Podge Farm. I am a fan of Tina. I would love to win the prize pack. Love the fabric - thanks for the chance to win some. I have a ton of friends having babies in the next few months; I'd love to win the book so I could try branching out into something other than just baby quilts! Thanks so much. This was very interesting. I didn't know Tina before; love her fabrics! I did not know Tina before. Love the notion of sewing children's goodies. No little ones in my family so I need to get out and find a little girl to sew for! My own little girl is in her 40s but I loved sewing for her when she was small. Very well dressed little one! I just went and bought the book. I have 2 new great grand daughters and need more ideas for things to make for them. I would really like to make the moses basket. Thanks for sponsoring the giveaway. thanks for a chance, this book sounds just wonderful! Wow! I hadn't seen Tina's work before today, except for the name of her Opal Owls fabric line- but I am impressed! It's also really nice to learn more about her through your excellent interview!! And I love that little stuffed owl...... This book is absolutely going on my wish list!! I'm a big fan of Tina Givens fabrics and I'm sooo interested what's in her book:) thank you for opportunity to win such great prizes! This book looks wonderful! I love the new Opal Owl fabric line - so cute! I had never heard of Tina before either, but her book sounds fabbo!! Thanks for the introduction!! That owl is adorable!! I would love to win some of Tina Givens fabric. What a great giveaway! I'll cross my fingers! Beautiful fabric and great interview! Love the fabric and the book looks like great fun! Thanks for a lovely giveaway! What fun! Thanks for a wonderful giveaway! Thank you for the wonderful interview and giveaway! It's nice to "meet" such a creative lady from my home state. Love the fabrics. I love how much creative talent and creativity lives in Raleigh! Thanks so much John and Tina for the giveaway! What what great projects. I also hadn't heard of Tina, but I look forward to seeing more! I loved learning about how Tina does her color palette. Starting with an original palette and then adding to it but making sure not to deviate from the original. I think knowing that will help me to pick fabrics when I am making a quilt. Thanks! 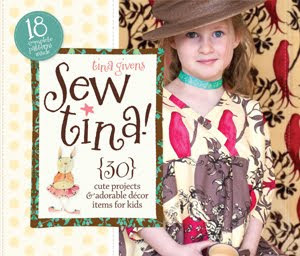 I love Tina's fabrics so I would love to win a copy of her new book! I started to fall in love with Tina's fabric within the last month---she is definitely unique in her designing and I really enjoy her for that reason:) She will only be about an hr away from me soon--how neat is that! lovely fabrics, lovely giveaway! interesting that Tina thought she would write fiction instead of a sewing book. Loved reading about the book and inspirations! This book looks fabulous....one that I will definitely be wanting to add to my collection. Thank you for the amazing giveaway and the chance to win! Oh, and the fabrics are gorgeous!!! What an amazing gift! This is the first that I've heard of her, but I'm sure that I'll be hearing much more of her in the future!!!! Love that fabric- and it sounds like a really sweet book. That little owl is precious! I love the new line of fabric and now I'm thinking I need Tina's book in my collection. Thanks for the give away! I love Tina's attitude about sewing. It's a gentle reminder to us to enjoy what we do. Would love to win the giveaway! Tina blows me away with her creativity! Can't believe how many things she does so well! To win this gift pack would be fabulous! Thanks!!! I'm glad you posted this interview. I hadn't heard of her book before. What a great package! Thanks! Oh her fabrics are absolutely beautiful!!! A book is a true labor of love and I look forward to getting a copy. Neat interview - I soooo wish I had more creative bones in my body (like Tina), but, alas, I was not born with such talent. I'd really love to win this awesome giveaway. What a great interview and awesome giveaway. Thank you! Hi, I'm a fan of Tina's fabric. I haven't had a chance to check out her out book but would love to take a look at it. thank you! I love Tina's creative process, which I read about here today. Her fabrics are beautiful, and I like that she has a lot of projects geared toward children, since I am having a little one of my own in January. Love Tina's designs . . . and I am very interested in the Moses baskets as my niece is having twins due in early April 2011! John, thanks for histing the giveaway. I always enjoy reading about and seeing what you've been sewing. Oh my gosh, I LOVE everything Tina Givens does and I would LOVE LOVE LOVE to win this giveaway!! Her designs, fabrics, everything, is just wonderful!!! been drooling over this book and fabric for weeks now. everything is so gorgeous! i especially enjoy learning about her fabric design process. it's always so interesting to see how artists from different backrounds take their thoughts to fabric. thanks to both of you for a great giveaway! Thanks for the great interview! It's always nice to read about the designer process and what inspires them. I'd love to win this package; I've got 10 grandchildren to sew for now. 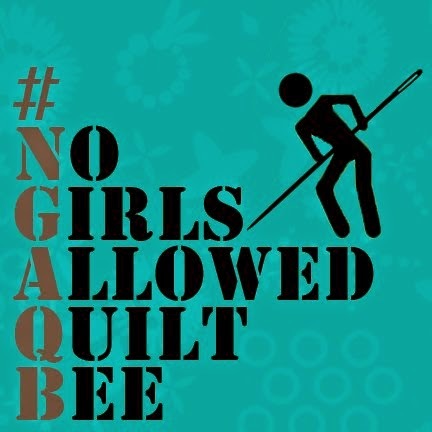 They have each gotten the baby quilt, but I'd like to start with outfits especially for the girls. I love her style and want to give some of them a try myself. Thanks for the great giveaway. And all the great info about Tina. Such cute stuff. Interesting interview & awesome giveaway ... I have to say that Opal Owl has been the first of Tina's designs that has grabbed me .... and now I'm lusting after some fabric with that owl! I book looks great and I love Opal Owls fabric! Thanks for the great interview and giveaway! Great interview, QD. I, too, love Tina's fabrics and her first name. I have a daughter who answers to that name also. *smiling at Kelly J. 's comment"
would love to win this! Great interview. Looks like a fun book. Thanks for the chance! What great projects, would love to win! Thanks for the giveaway! Great interview. Would love to try some of her patterns with that wonderful fabric. Thanks for this giveaway! I learn something new every time I visit your site! Thanks! Love your blog! (i hope this is not a duplicate - went i went to post before i lost connection)Would love to win! What a great giveaway! Would love to try some of Tina's patterns. Thanks! Wonderful Interview... and Amazing Giveaway!!! 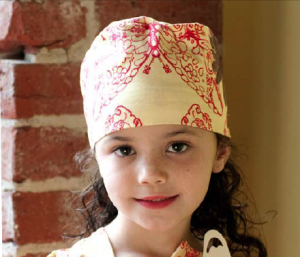 Even though I don't know any little ones, I would love to win for the chance of having new patterns and fabric. I have heard Tina's name, but now I know a little bit about her - Love her line! It also makes things a bit more personal. Wonderful giveaway, thanks for the chance to win. Woweeeeeee! What a great giveaway. I LOVE Tina Givens fabrics...I have LOTS! Nice interview John!!! Awesome giveaway and so generous!! Thanks for the chance and please count me in! I would be THRILLED to PIECES if I won. 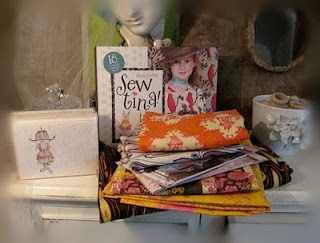 WOW a chance to win Tina's book...and fabric too..... fabulous giveaway...thanks for the chance to win!!! 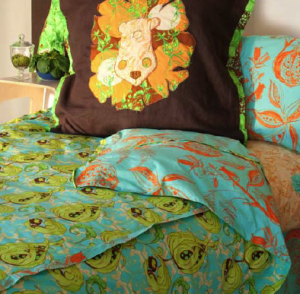 I really LOVE her color palettes and prints ~ one line of hers can inspire so many different uses for the fabrics! Thanks for the chance! I love Tina's fabrics. I'd love to peek at her book. Ooh, I love Tina Givens' fabric! I tend to get obsessed with a few fabrics from each of her collections and order them in every colour way. Her colours are so vibrant and unique and the painterly quality of her finished fabrics always blows me away. Anyway, please, please random generator, pick me! pick me! I just ordered & received one of Tina's Opal Owls prints & it has the cutest owls & the most fabulous colors of turquoise & lime! I'm a fan for sure! Thanks for the giveaway! I'm just drooling over her fabric! Oh thank you for the chance! I LOVE Tina's fabric! I have sewn up quite a bit of it in the past but I do not currently have much in my stash. I NEED more! I would LOVE to have the book and try some of her patterns. Thank you so much. I am a huge fan of Tina's work and have stashed away some of my favorite fabrics from her lines to use for projects in her book! I would LOVE to win! My daughter is having a baby soon and I would LOVE to be able to make her a few of these projects! I have used some of Tina's fabrics in a quilt for my son and I would love to win the fabric as well as her new book. I have 2 granddaughters to sew for now. :) Thanks for the giveaway. I am sure that I need to make more clothes for little girls; therefore, this would be an excellent win! I love that fabric! Thanks for the chance. Tina just uses the brightest colors! I love them. Thank you for the giveaway--who couldn't use new fabric + inspiration? Thanks for the awesome giveaway for the wonderful book release! I really loved reading her interview. The steps that she goes through to create her designs is so unique :) I always buy fabrics with my daughter in mind... thinking she'd look cute in this made into a skirt or this as a top... but because I've never sewn clothes, they sit and stare at me! It would be reeeally nice to win this so I can finally sew something for my daughter!! Can't wait to see what Tina has for a Christmas line!! Great interview and thanks for the chance for the generous giveaway! Great interview! I love Tina Givens. Thanks for the great give away and for the opportunity! My goodness! I spent my High School years & graduated in Raleigh, NC! I have a brother a & sister who still live there! Small world! That's a great giveaway. I love Tina's attitude to sewing- relaxing and enjoying it! What a great giveaway- the book is just perfect for me. I have a 7-year-old daughter and one of my best friends is pregnant. Looks like a really cute book. Thanks for the give-away. i love Tina's patterns and fabrics. "I hope...that they explore and encourage their own creativity." That is some advice and wellwishing. What a great post. This is the first I've heard of the book. It's going on my wish list! Its the first I have also heard of the book and what a generous giveaway. Thank you so much for offering so much. I seen the book somewhere before I just can't remember where ? Thank you for the great interview! And the wonderful prize package - I would love to win it! Cute stuff! Always in need!! Eeek, isn't Tina just awesome? I remember being with you when you when we met her (actually, I think you had already talked to her but I was meeting her first the first time) and we were talking about twins. She is just so super-sweet and I would love to get my mitts on her book! Nice to learn about Tina. I didn't know that she was so focussed on children. Wow! Thanks for introducing me to Tina's fabrics and designs. I had never heard of her before. This is my first intorduction to Tina. Beautiful fabrics. How neat that you traveled so far to find one of your neighbors. Interesting answers & beautiful fabric. Sure hope I get that email that says Congratulations!! Thanks for offering the chance! I am a new to the world of quilting and sewing...just started this summer. So, I hadn't heard of Tina. But I looked up her fabrics online and have a new favorite! It's amazing to find out a famous quilter/designer lives in your town. Sandi henderson lives in my town! I wonder if I have walked by her at the quilt shop? I have been drooling over this book for days its wonderful! I love her flexible approach to sewing! I have followed your blog for a while - love your stuff and always love hearing from another new (and local!) designer! Lovely interview. I really enjoyed reading it. I adore Tina Givens. I have some Olivia's Holiday fabric here that I'm hoarding. Haven't decided what to make with it yet, but the book definitely gives me some inspiration. Thanks to both of you for this spot on the blog tour. It was interesting to learn something new about the 16 color limitation vs the watercolors that Tina uses for design. Also, will look forward to seeing Opal Owls project examples on her site. It is an adorable collection from photos have seen. Oh, yes! I am a fan! I love Tina's fabric, and I too am inspired by children. What a wonderful giveaway! The book sounds wonderful. I especially like that there are projects for new sewers which is perfect for young mothers. Thumbs up on Opal Owl. It's always fun to learn more about the great designers out there. Thanks! I have always admired Tina's fabrics. Thanks for the interview, John and Tina. Thank you also for the chance to win this great giveaway! I adore Tina's fabric designs :) Thank you for holding this give away! I didn't know that Tina creates Christmas ornaments! can't wait to see. And wallpapers!!! wow! that's what I thought-why she has not done it yet? her Treetop Fancy Chacha fabric collection and Opal Owl would look great as wallpaper. Wishing her lots of fun creating! Great Giveaway, Thanks! I think I will love these fabrics. I love Tina Givens fabric and would love to have her book! Please enter me! Beautiful fabrics. Here work looks fascinating. Thanks for the opportunity to win and I am going to check out the other stops on the tour. Love Tina's whimiscal look she adds to everything she touches! Love the new Opal Owls! And would love to get my hands on that book! Love Tina's attitude toward sewing...my kind of gal. What a sweet giveaway...thank you Tina and hope I win. Hi! I would love to win. I enjoyed the interview! What a fun prize. I would love to be entered, please! What a great sounding book. I'm sure to add it to my list of things to get. Yes I love Tina's fabrics and would love to see this book!!! Thanks for such a nice giveaway. I appreciate the interview to learn more about Tina's work. I'm a big fan of Tina's fabircs. Love her work !!! Wonderful sense of color. Thanks for showing Tina's work. What beautiful fabric, and a great giveaway. I'm keeping my fingers crossed now ! This is my first time to your blog... so I think I'll look around. Thank you for the giveaway! Love reading your blog! What a lovely book this would be..Thanks for the generous giveaway!! Somehow, I had never heard of Tina before this post! THANK YOU for sharing her with me! And thanks for the great giveaway... so many fun projects to make! I was just looking at Opal Owl the other day, I would love to see more by Tina! I like Tina's attitude and love the examples you posted. I love to have craft books to refer to when I'm making something, so I hope I win:) Thank you. Didn't know this fabric before - it is just what I like - I like her word to describe her fabric designs as eclectic/vintage - I can see my own tastes in those words with the fabric I tend to gravitate towards. I hope I win some of this wonderful fabric. Awesome giveaway. Love the book. I love the look of her fabrics, so fresh and fun. I am a beginner to quilting and love the way creating a square makes me feel. Thanks for the chance to win the prize. EveRyThinG i learned today is new! thank you! lovely interview :) and giveaway opp is bonus! thanks for the interview and chance at an awesome giveaway. I'm a huge fan of Tina's work and it's great to learn more about her creative process. Thank you very much for such a wonderful giveaway! I love hearing how a designer comes up with fabric designs since my company does web design. It is all so fascinating to me. Thanks so much! 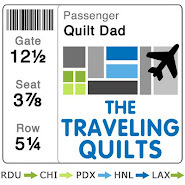 Oh thanks for all the wonderful comments, and thanks Quilt Dad... hope to see you at market... And your readers deserve a generous gift so I am so ecstatic that they love it! What a great giveaway! I'd love to make something for my daughter. Love the modern look of the line. We don't have alot of modern material in my LQSs, so I have to get it online. Great to know of another designer to look for. Sure would love to win -- thanks for the chance! Oooh, i'd love to see some adult projects in the future, if she decides to incorporate them! Love all the kids stuff too though! thanks for the contest!! Great interview! I enjoyed reading about her design process. Thanks! I have always luv Tina's fabrics....love her designs too...which I usually get it online as not usually stocked here at the LQS. I'd love to be included to win Tina's fabrics...love them all. love this book! thanks for the interview. Hi, that was a great interview, well done ! Also would love to win the book, I am starting to sew for grandchildren now, so always need new ideas. That was an awesome interview! Thanks for the chance to win! Looks like a great book. Thanks for the chance! GReat Job John introducing us to Tina and her inspiration. Thanks!!! England calling-inspirational interview of a fabulous designer ! I have been a Tina admirer for quite some time. The interview is great--love the insight to the creative process. Can't wait to get my hands on the book!. Thank you for the giveaway, VERY generous!